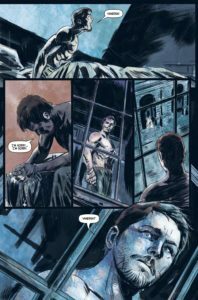 The Awakening, Part 1 of 4- Ethan Chandler finds himself unable to move on. As he searches desperately for meaning in a world without Vanessa, ancient words echo across the centuries, and he is called on once again to take up arms against the creatures crawling out of the night! 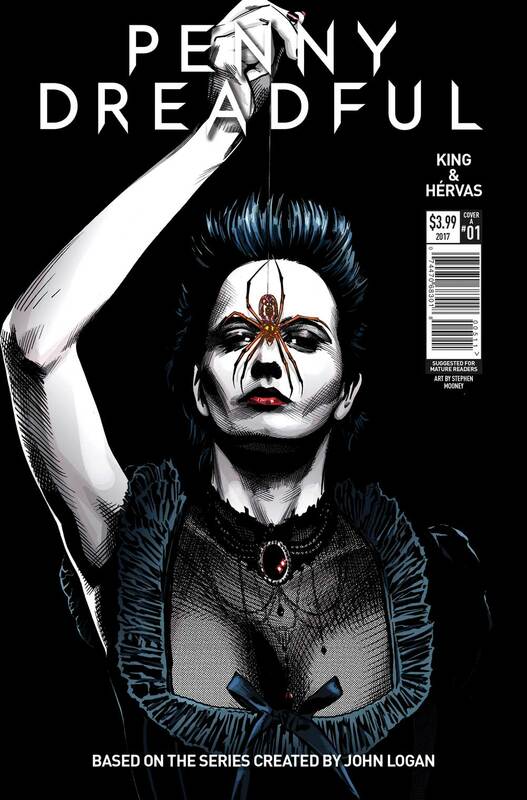 The sell-out and critically acclaimed comic series returns! 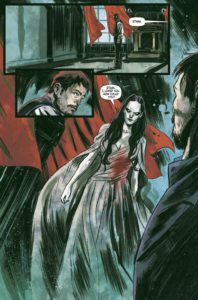 Continues the story directly after the shocking events of Penny Dreadful’s season three TV finale! Features Ethan Chandler, Sir Malcolm Murray, Ferdinand Lyle and Lily! 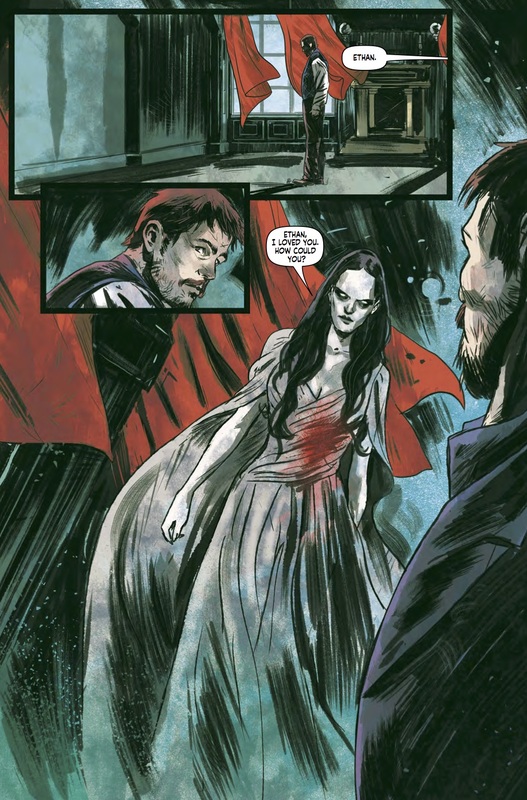 The concept of the “team up” isn’t just for superheroes… In the Showtime series Penny Dreadful, creator John Logan put forward the concept of literature’s most fearsome figures of Gothic horror coming together to save the world, or burn it to the ground. The series centered mostly around the tragic figure of Miss Vanessa Ives, a witch who has been chosen by Lucifer to be his bride on Earth and perfectly portrayed by Eva Greene. The show opens with Vanessa joined with Sir Malcolm as they try to track down the vampire who has abducted the nobleman’s daughter Mina. Over the course of the series, Sir Malcolm and Miss Ives are joined by werewolf Ethan Chandler, Dr. Victor Frankenstein, and the immortal and perpetually bored Dorian Gray. If it all sounds a little too close to The League of Extraordinary Gentlemen, don’t worry… neither the invisible man nor Captain Nemo has put in an appearance. Yet. 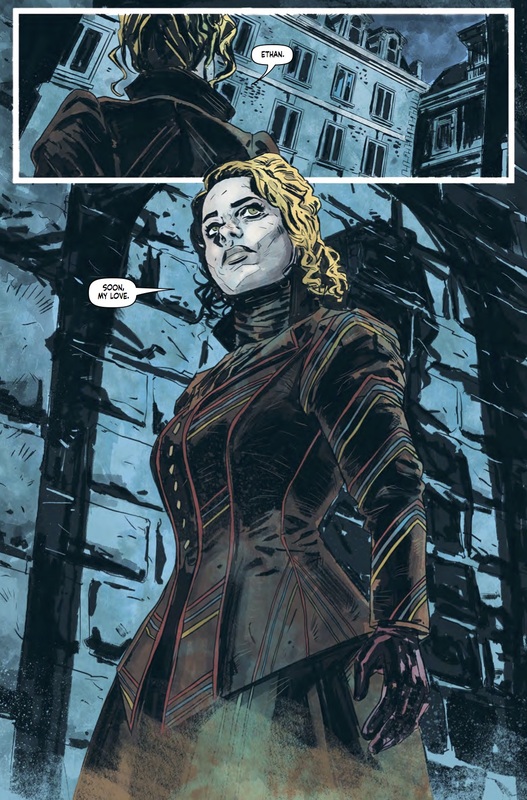 Titan Comics had previously put out a prequel mini-series, highlighting the activities of Miss Ives and Lord Malcolm as they follow the trail of Dracula. 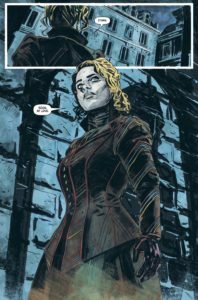 This inaugural issue marks the opening of an ongoing series that picks up after the tragic events of the series, which ended after three seasons. Now, be prepared for heavy use of the word “tragic” and subsequent synonyms… given the natures of these characters and their source material, one thing we can be sure of is that there isn’t much chance of a happily ever after for any of them. While Sir Malcolm and Ethan still try to come to terms with the events that wrapped up the show, and their resulting feelings of guilt, events around them show no indication of settling down into something resembling normal. Ethan pays a visit to psychiatrist Dr. Seward, who had been counseling Vanessa for a time and had become acquainted with the true and dark nature of the world. Sir Malcolm carries his own weight of responsibility, as he continues to struggle with the fact that he was unable to save his daughter Mina, as well as a list of losses the length of his walking stick. 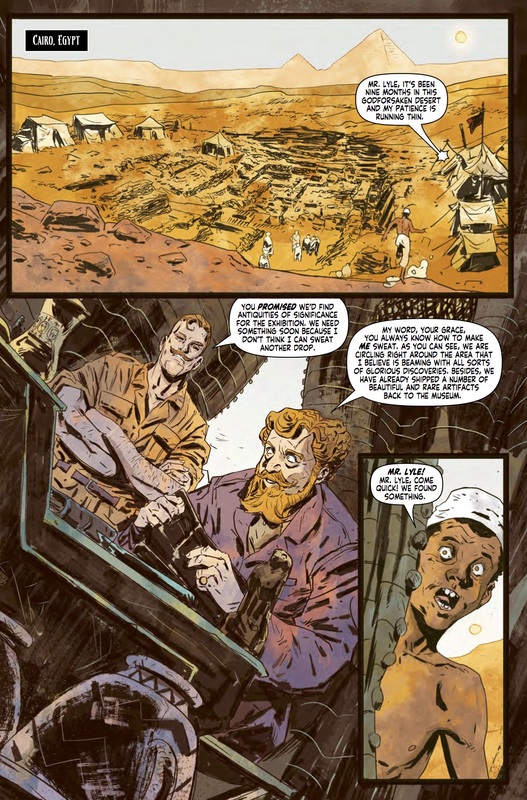 Lest we think this story is going to revolve around a group of people wallowing in despair and self-recrimination, we find ourselves transported to Cairo, where an expedition has uncovered an ancient crypt. The crypt entombs the mummified remains of Belial, loyal servant of Set, where he waits for the opportunity to continue his service to the Lord of the Underworld. That awakening is at hand, and heralds the apocalyptic battle between Set and the combined might of Amun-Ra and Amunet. Penny Dreadful the show did a great job of maintaining the depressingly oppressive atmosphere of Gothic horror. None of the main characters can truly claim to be “good guys”, however they each feel the burden of responsibility for their true nature in their own way. 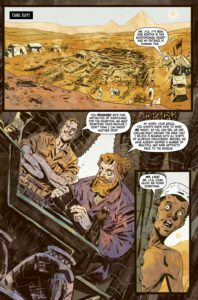 While it is too early to tell whether or not this ongoing comic series will uphold that standard, I can say that between the art and the writing, the creative team of Chris King and Jesus Hervas are off to a good and solid start. King presents these deeply damaged characters in all of their flawed glory as they wallow rather than seek any kind of redemption. It’ll be interesting to see how they move on, and how other characters will be woven back into the plot. Dr. Frankenstein was left dealing with his own issues, mainly the realization that he’d released true monsters into the world, compounded by a growing opiate addiction. Lilly, former prostitute and tuberculosis victim, as well as one of said monsters (she died, Victor brought her back… it was a thing), has opened her eyes to the possibilities offered to someone with the determination and lack of moral compunction to rule from atop a pile of corpses. King’s narrative is given a helping hand by the art of Jesus Hervas. He captures the tone and setting of the story without falling victim to the urge to keep all characters too close to real in appearance. Where an artist tasked with adapting television or movies to a comic book format might feel inclined to make the characters almost photorealistic, Hervas manages to strike a balance. Everyone is readily recognizable, but it’s done more in keeping with his artistic style and doesn’t come across as some slavish attempt to simply put pictures of celebrities in his work. Which, given the tendency of some of the people in these stories to bite things off, could be a little risky.